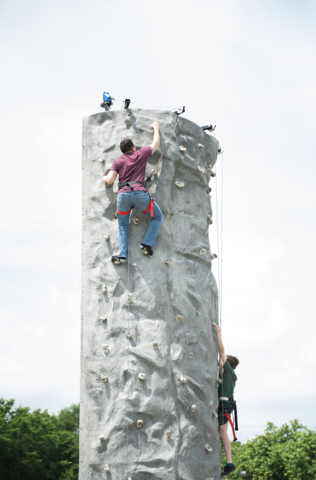 We have a 4 station mobile rock wall for rent. 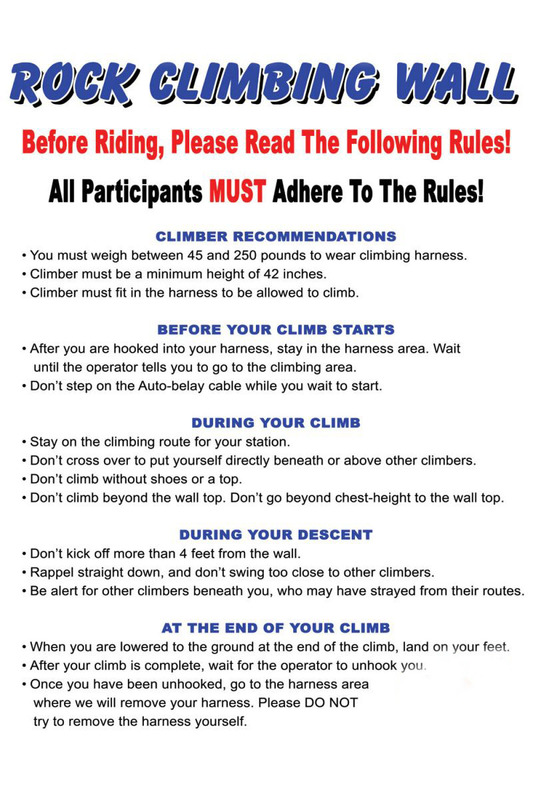 Our rock walls come with two trained staff people to run the wall and suit the climbers up with climbing gear! Our rock wall is 24' tall. Rock walls are a great rental for any event. Must be setup on solid ground. We can setup on concrete, asphalt, or grass. If setting up on grass, it must be solid, not wet, soft or soggy.